Export all lots notes emails from inbox, outbox, draft, sent mail and junk mail folder into pdf format easily. 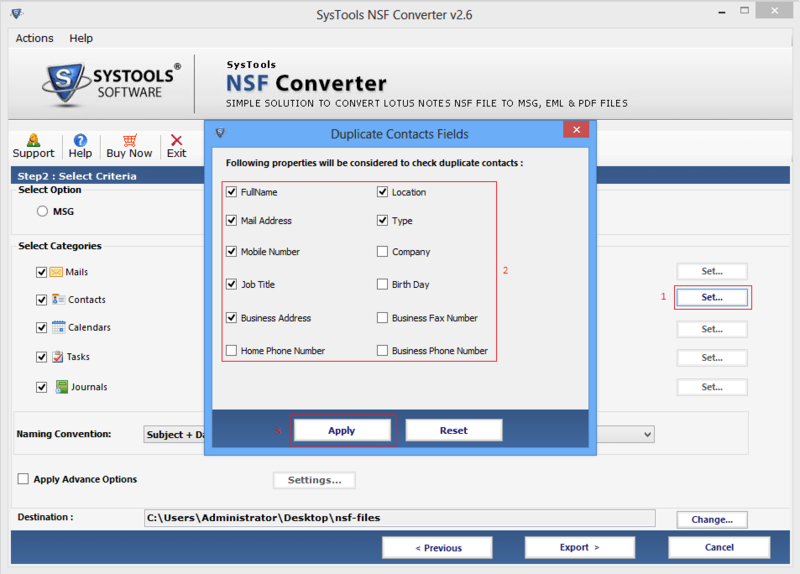 The nsf to pdf converter software will generate pdf file for all emails with attachments in resultant pdf file. 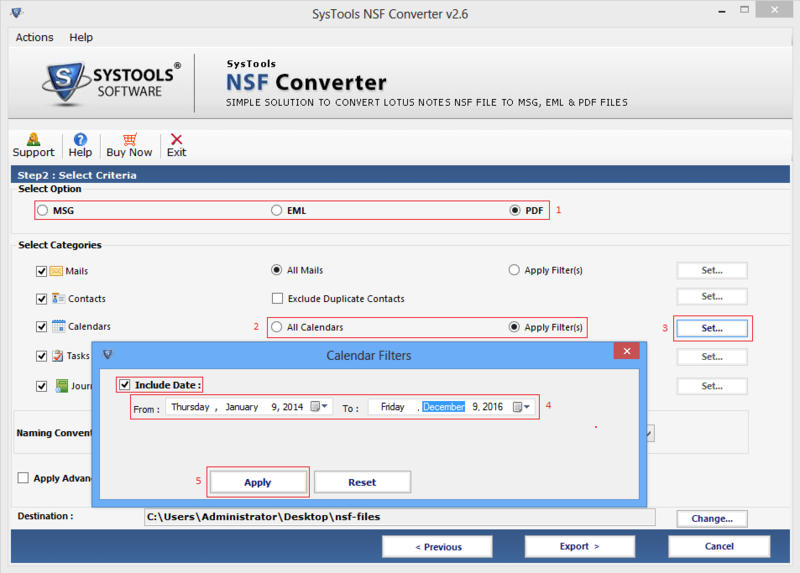 User can convert complete lotus notes nsf file folder into pdf format. 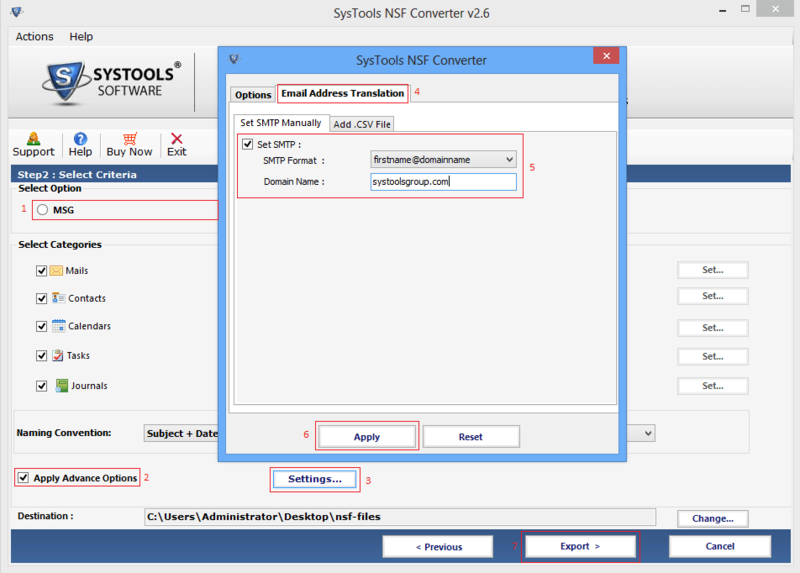 Simply load the complete folder to the software by select bulk conversion option. It ensures you that all emails will be exported into pdf format. 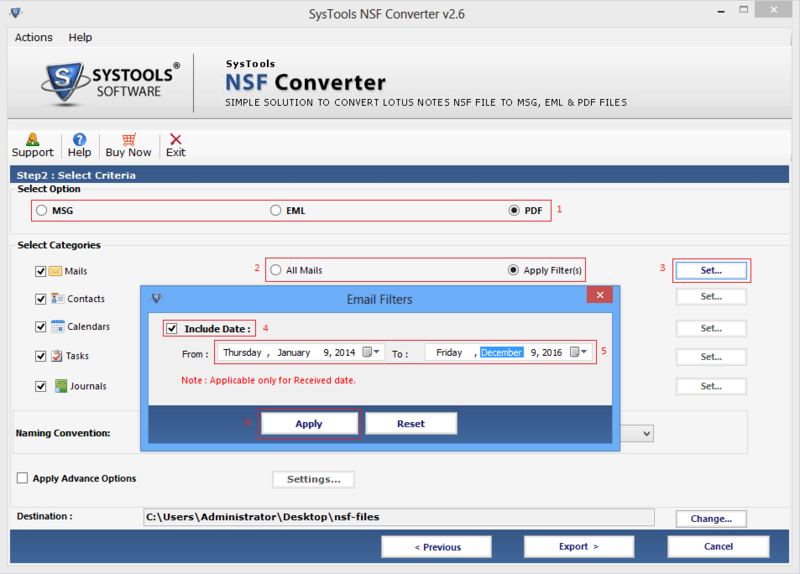 For large lotus notes nsf file software provides a very useful feature to select only required emails from the nsf file. After successful scanning software will list all emails, user can check or uncheck required emails and then proceed for conversion. Lotus notes creates names.nsf file and stores information in it. 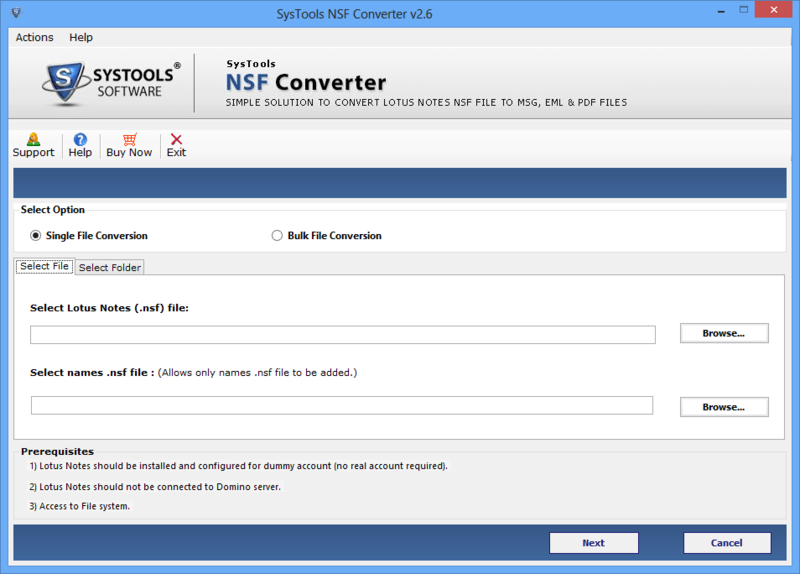 The nsf to pdf converter tool provides an option to export names.nsf file separately. This feature od the software hepls in quick conversion from all folders of IBM Email Client. Here software enable user to check required items for conversion. 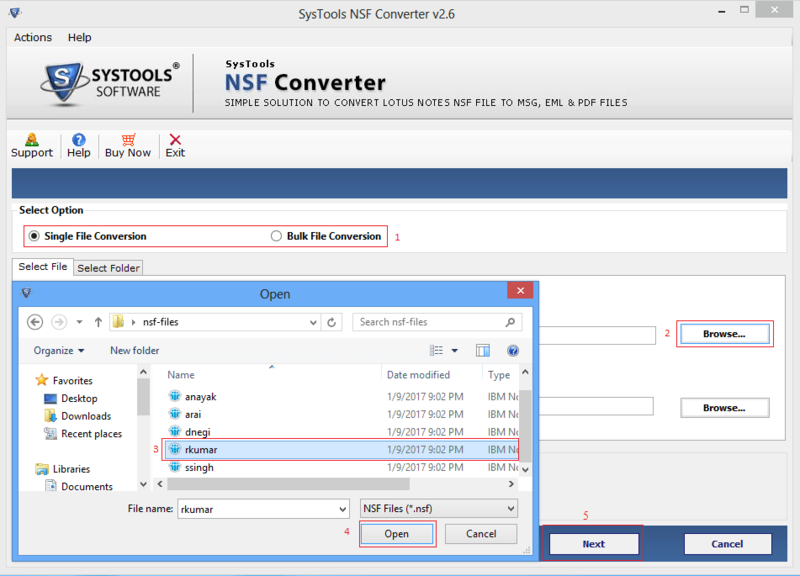 From the lotus notes nsf to pdf converter software windows select the required file like Mails, Contacts, Calenders, Tasks and Journals to include in conversion. 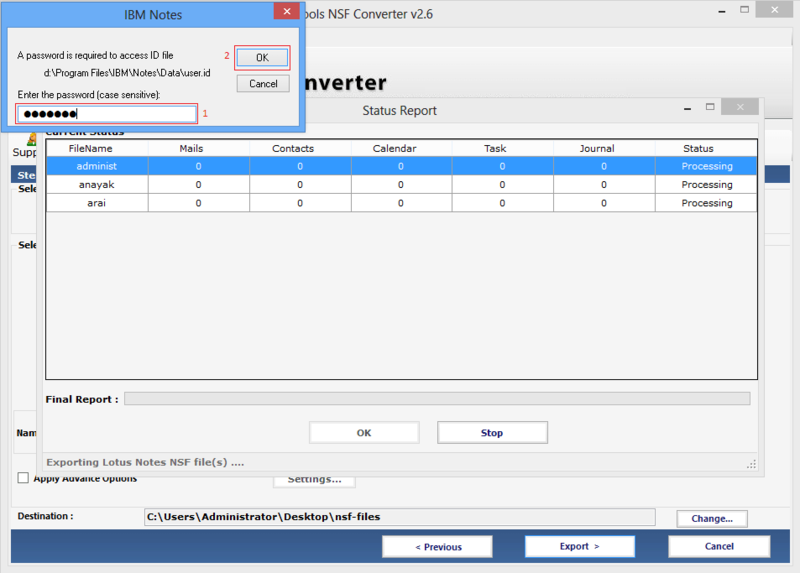 For quick and dedicated conversion lotus notes to pdf converter enable user to apply filter by providing date interval. In this user need to provides specific date and software will include those emails which lies in the provides date. 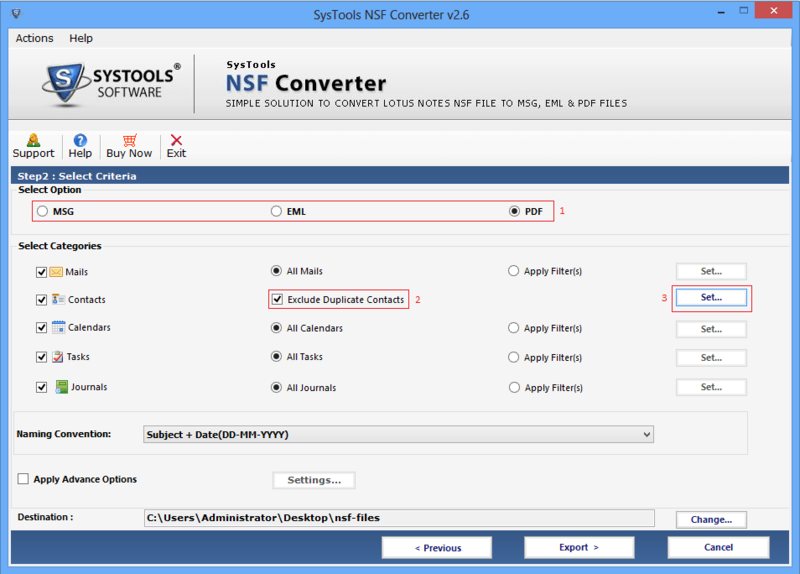 As the software convert each nsf file emails to pdf format separately. 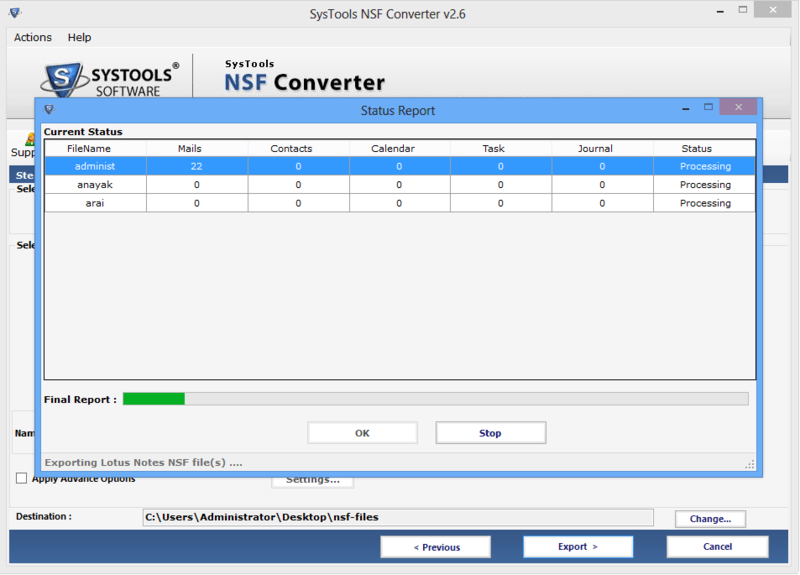 So the tool ensures user to maintain the original folder structure as was in the source nsf file. After conversion user can view all data in same folder order. While performing lotus notes to pdf conversion software parse all emails and stores status of all items whether it is converted or not and saves the result in .csv format. So after successful conversion save and view details. Does software retains all meta property after conversion? Yes, Software maintains all meta property intent in resultant pdf file. Like To, CC, BCC etc. Can I Convert Emails from Sent Mailbox only? Yes, the you can select sent mailbox from category selection option and software will easily export lotus notes emails to pdf format only from sent mailbox. Is the software is compatible with both Mac and Windows OS? No, The IBM lotus notes to pdf converter software is compatible only with windows operating system. It does not work on mac os. 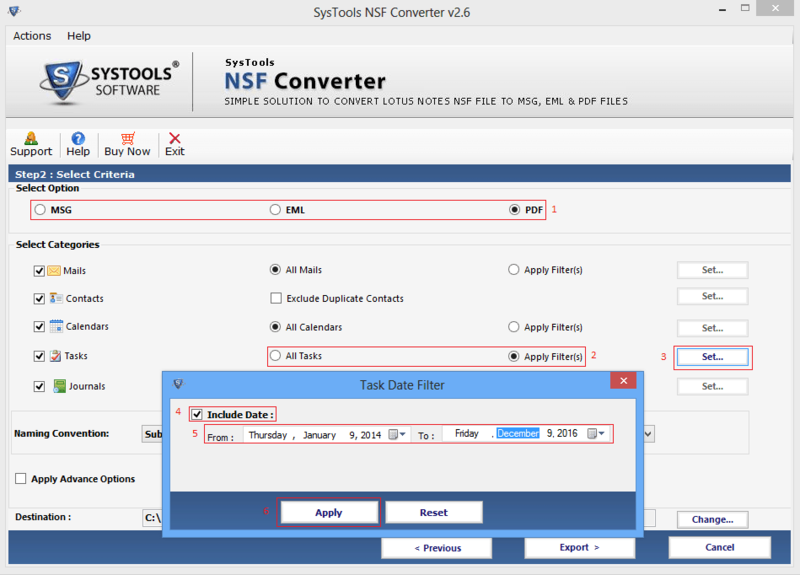 Can I convert Multiple NSF file Simultaneously? No, The software exports only one file at a time but user can convert multiple files back to back. As the support support to load complete folder for conversion. So load folder folder and it will convert all emails in it. Can I apply many Filters Concurrently? 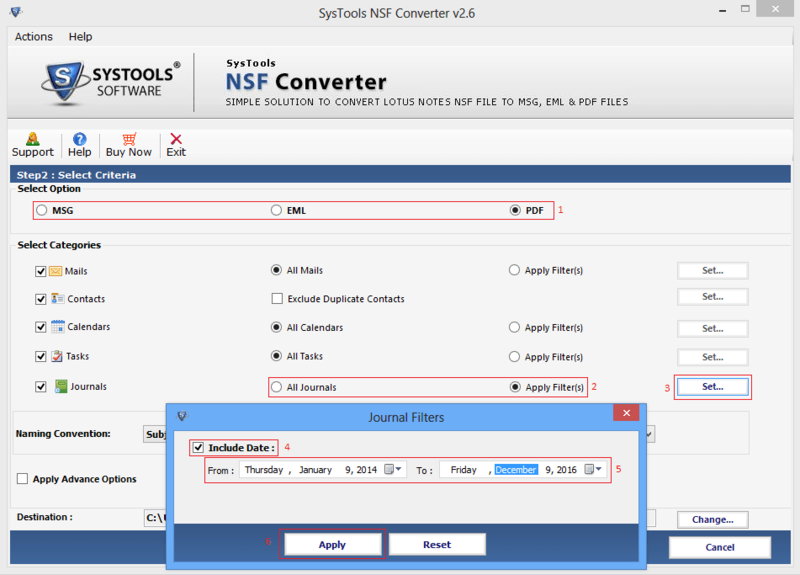 Yes, For the specific conversion you can apply date filter and also at the same time you can select required folders from category section. Launch the software on host machine and you will see the home window of software. 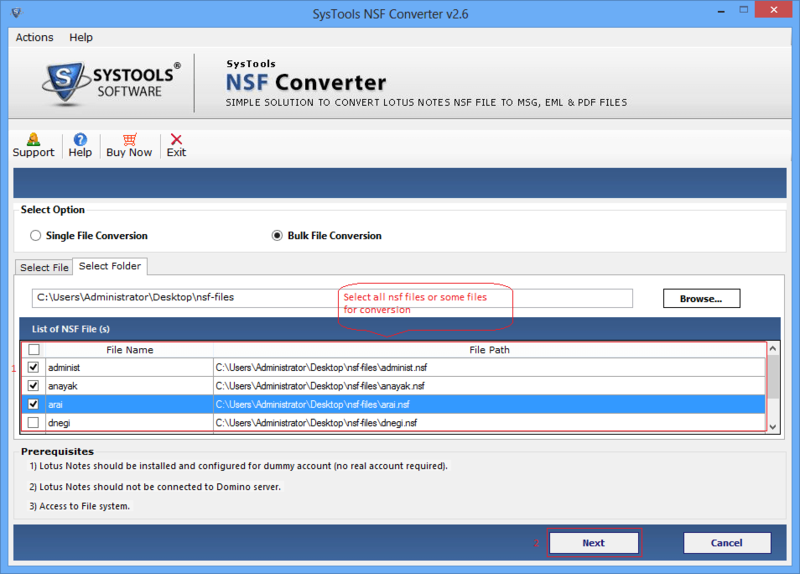 Here you will find two option to brows nsf file either as Single File Conversion or as Bulk File Conversion. For single file conversion select click radio button and click on Open. And click on Next to start conversion. You can brows names.nsf file separately. Simply Brows names.nsf file and click on Open. And hit on Next to start conversion process. 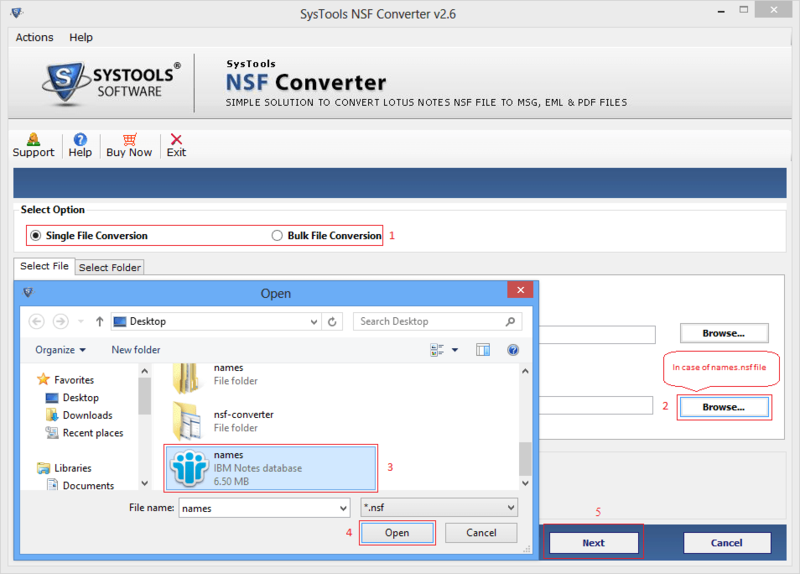 If you want to convert many nsf files in single folder name. Then select Bulk File Conversion radio button and brows file. Then hit on Next to start process. You can select required files even in bulk conversion process. Simply check required file and software will discard the unchecked files. Here you will find many file format for resultant file. Simply select PDF radio button and Select Categories for conversion and click on Apply button. 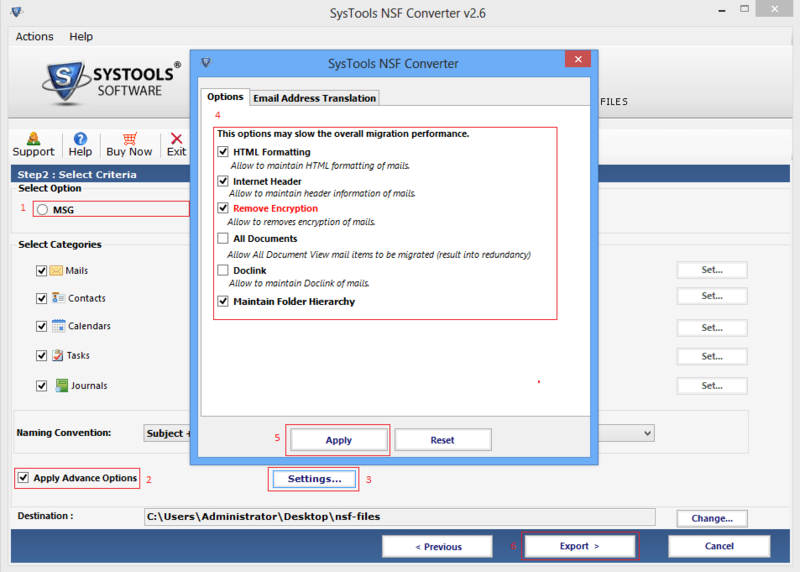 To perform fast conversion and memory management select Exclude Duplicate Contacts and click on Set button. Check the attribute field to check the duplicate contents form the provided list. For calendars apply Date Filter for calendars and click on Apply. For Task apply Task Date Filter and then hit on the Apply button. For Journals apply Journals Date Filter and then cluck on the Apply button. Select a valid format for naming convention and click on Export button. Check Apply Advance Option and hit on Setting button. A pop up windows will appear, simply hit on Options Tab and check required options like HTML Formatting, Internet Header, Remove Encryption, All Documents, Doclink and Maintain Folder Hierarchy. And then hit on Apply button. User can set SMTP manually by clicking on Email Address Translation tab. You will find options Set SMTP Manually to add domain name. User can also add .csv file by clicking on Add .CSV File tab and then brows .csv file. At the end click on Apply button. Now provide correct authentication password to access ID File. As you provide valid ID and click on OK button then software start generating process report. 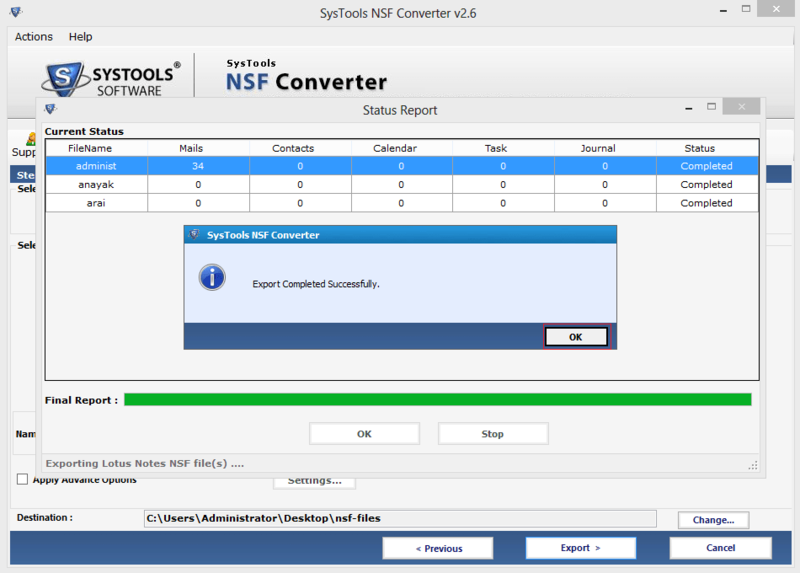 Now the NSF to PDF Converter Tool will show you Final Report process. Step 11: Exit from the software window. After completion of this process a Successfull pop up will appear to confirm Export Completed Successfully. Hit on OK.
"Many software vendor that claims for safe and secure louts notes to pdf converter software. I tried many tools and did not got satisfactory result. 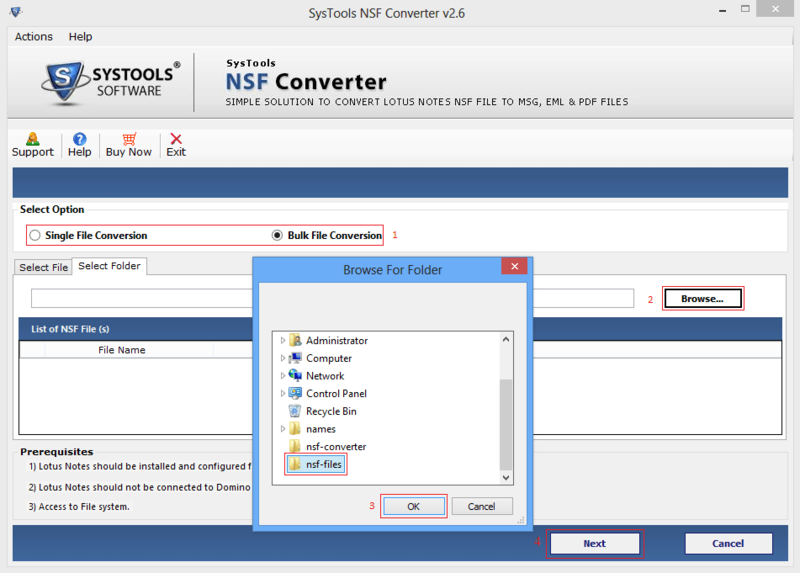 Then I tried this software which successfully converted all my nsf files into portable document format quickly. The software posses many useful feature which helped me a lot in conversion. Great work done by development team!!" "Converting lotus notes files into pdf format is not an easy task for a non technical person. 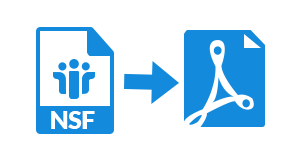 But being non technical I exported entire email from nsf folder to portable document format. All I can do just because of simple software GUI. The software worked well and converted entire data in quick time. Technical support team helped me a lot for that thumbs up for them, Nice work!!"